The dry formula penetrates deeper to kill more bugs. 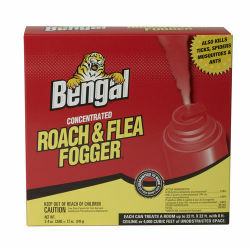 Kills roaches, fleas, ticks, ants, spiders, crickets, and other insects. Dry fog is odorless and leaves no mess. Controls heavy infestations. 3 cans treat up to 18,000 cu. ft.